OK, who’s ready to work? 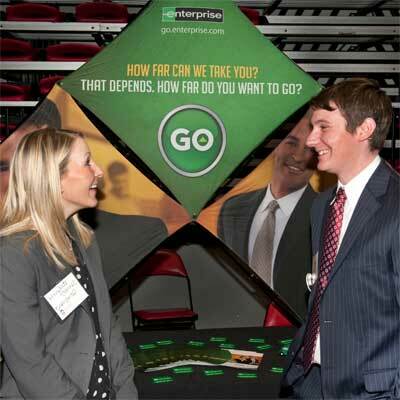 NIU’s spring 2014 career events offer students and job-seekers the chance to network and to impress potential employers. This spring features NIU’s annual Internship Fair, Full-time Job Fair, NIU Educators’ Job Fair and the Retail Leadership Expo. Meanwhile, thanks to NIU Career Services, even more help is available. Research the companies. Rehearse elevator speeches. Dress professionally. Bring plenty of résumés. Perfect your interview skills. Use NIU’s job search system – Huskies Get Hired! –where employers find new talent for jobs and internships, and where NIU students can create, upload and publish their résumés. Tuesday, Feb. 18, 10 a.m. to 3 p.m. NIU Convocation Center. Last spring, more than 85 employers attended in search of NIU students for internships. Admission is free for this event; students can pre-register online, but pre-registration is not required to attend. Wednesday, Feb. 19, 10 a.m. to 3 p.m. NIU Convocation Center. Admission is free for all current NIU students to attend; students can pre-register online, but pre-registration is not required. 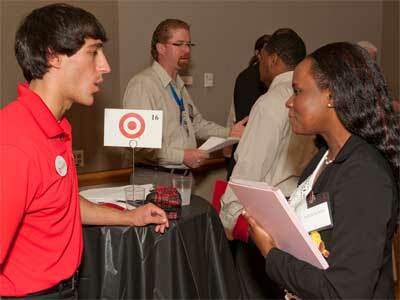 Last spring, 180 employers attended in search of NIU students for full-time jobs. Fees are $5 for alumni and $10 for non-NIU attendants. Monday, Feb. 24. NIU Convocation Center. Admission is free for NIU students and alumni and $10 for all other candidates. Pre-registration is available online. Thursday, March 27, 5 to 8 p.m. Barsema Alumni and Visitors Center, 231 N. Annie Glidden Road. Attractive career options in the retail sector are causing college students to engage in a robust career and hiring environment. Meanwhile, according to a recent study published by the National Retail Federation, one in four Americans has a rewarding career within the retail sector. Hiring needs were identified in merchandising; retail operations (stores, field); merchandise planning; finance; information technology; inventory management; loss prevention; human resources; marketing and advertising; logistics and transportation; and multi-channel e-commerce and catalog. The Retail Leadership Expo is a professional networking event which includes retail career overviews presented by top retail executives followed by a networking “mocktail” reception with 15 to 20 retail companies. Professional dress is required. Bring plenty of résumés that were reviewed by Career Services. Sponsored by Kohl’s, admission is free. Pre-registration is required and will begin in February. Monday, Feb. 10, 4:30 to 6 p.m., Capitol Room of the Holmes Student Center. Employers today are relying on internships as an important source for identifying and hiring new talent. Whether you are a freshman student or senior, internships are essential for your career-life after college. Wednesday, Feb. 12, 4:30 to 6 p.m., Barsema Alumni and Visitors Center. This preparation workshop is designed to help you make the most of the job fair by providing strategies for engaging with employers at the fairs. Hear from Career Services’ professionals and current NIU students, who have been successful at the fairs, on how you can make the best possible first impression with employers seeking to hire Huskies!